Veterans of Zimbabwe's war for independence - who until last year were loyal to the president, the best-known among them - are also saying Mugabe should quit. 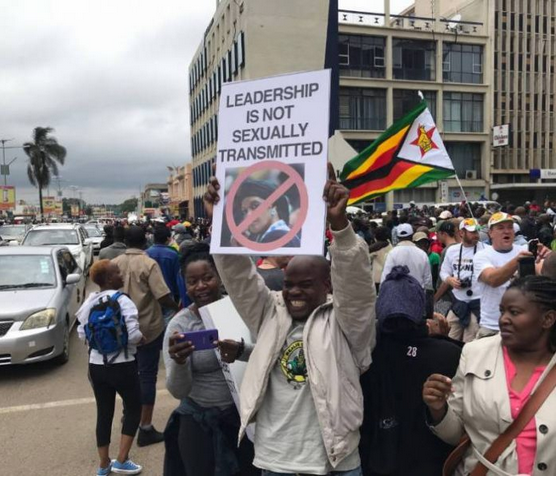 The leader of the organisation urged people to head towards Mugabe's private residence, too. 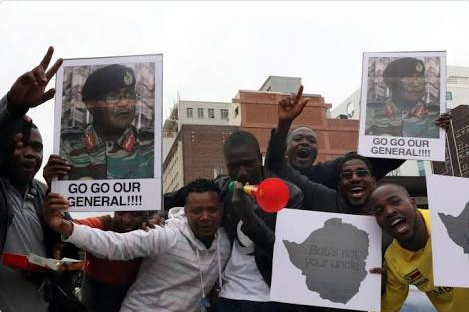 The demonstrators, participating in the nationwide protests calling for the 93-year-old veteran leader to step aside after the army took power earlier this week, staged a sit-down protest in the road after being halted by the troops. The army intervened after Mugabe sacked his deputy, signalling that he favoured his wife Grace as a successor. 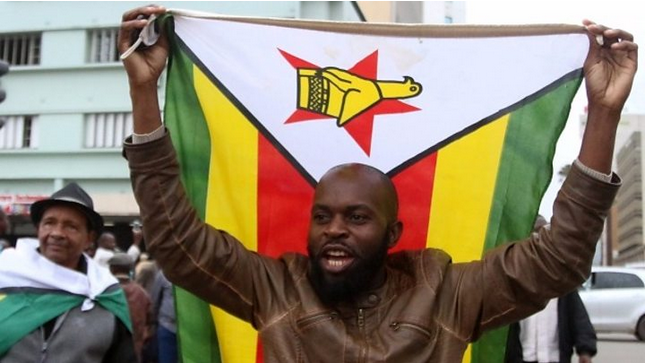 Mugabe has led Zimbabwe since it gained independence from Britain in 1980.